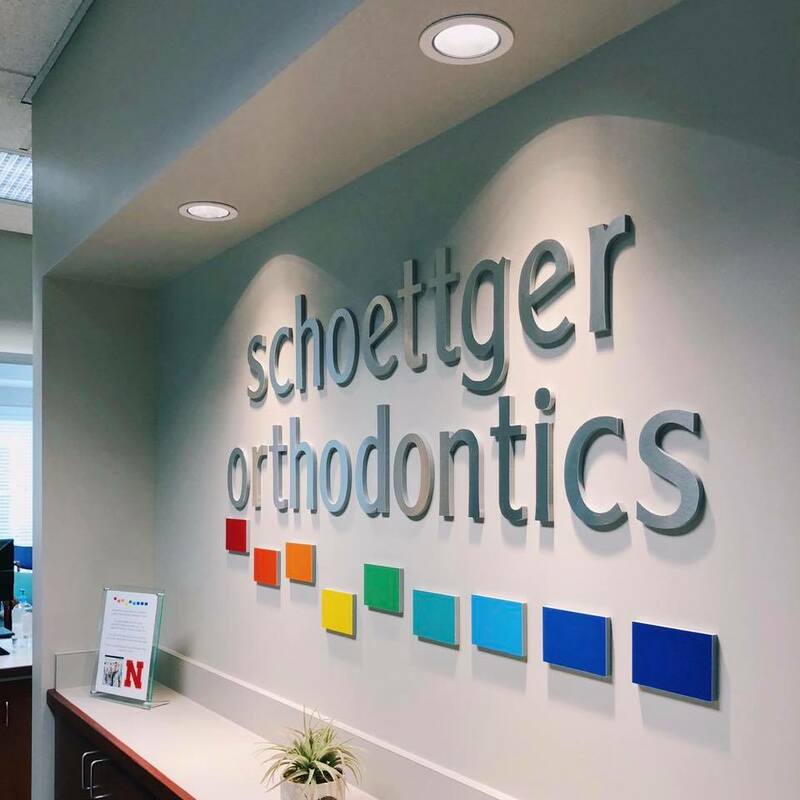 New signs going up after Schoettger Orthodontics remodel! See our new logo wall! Our new sign is up at the front desk! Quite an improvement from the spinning shelves (originally built for patient paper charts) we had here before our remodel! Have you seen this yet?